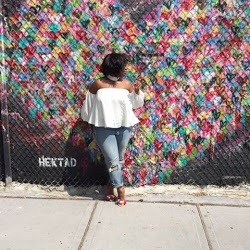 Calling ALL Bloggers | NYC Fashion Bloggers Meet-up Group wants YOU! I am the NEWEST Organizer for NYC Bloggers Meet-up Group and I am looking for some FAB bloggers in the NY/ NJ area to join my group. We are 100 + members that have been everywhere from Fashion week, to shopping events to everything related to Fashion. So if you are a BLOGGER and would like to Meet-up with some FAB ladies & Gents join my meet-up group.